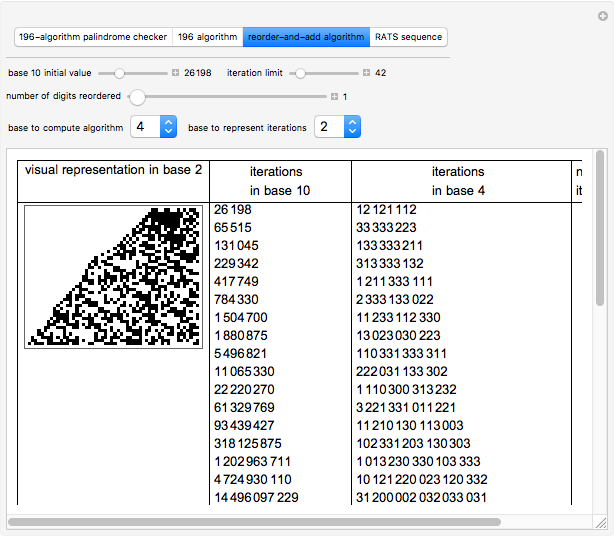 This Demonstration presents two well-known algorithms, the 196 algorithm and the RATS sequence (reverse, add to the original, then sort the digits), and a variation, the reorder-and-add algorithm. 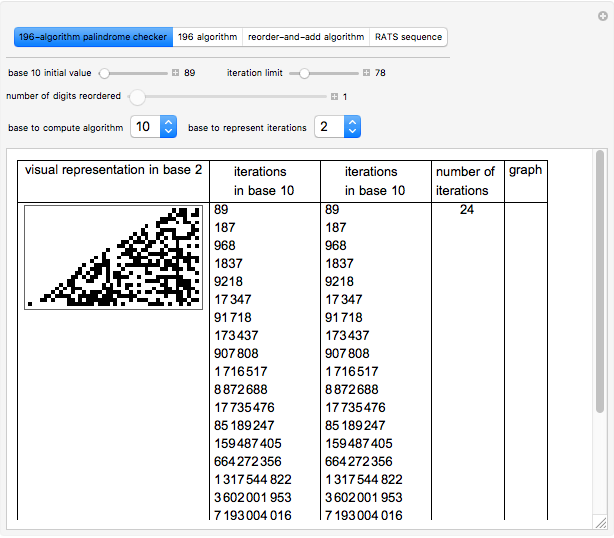 The 196 algorithm (or the reverse-and-add algorithm) reverses the digits of a number and adds that to the original number. For example, . It is conjectured that all numbers in base ten that are iterated using this algorithm end up in a palindrome (a number that reads the same from either direction). 196 is the smallest number in base ten that might not result in a palindrome: . Numbers that do not end up in a palindrome are called Lychrel numbers. 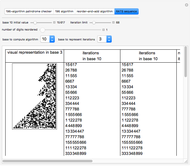 The reorder-and-add algorithm reorders the original number by a certain number and adds it back. For example, with , . The RATS sequence adds an extra step to the 196 algorithm. As before, reverse the number and add it to the original number, but then sort the digits. For example (where "&LongRightArrow;" means reverse and add and "&DoubleLongRightArrow;" means sort), . 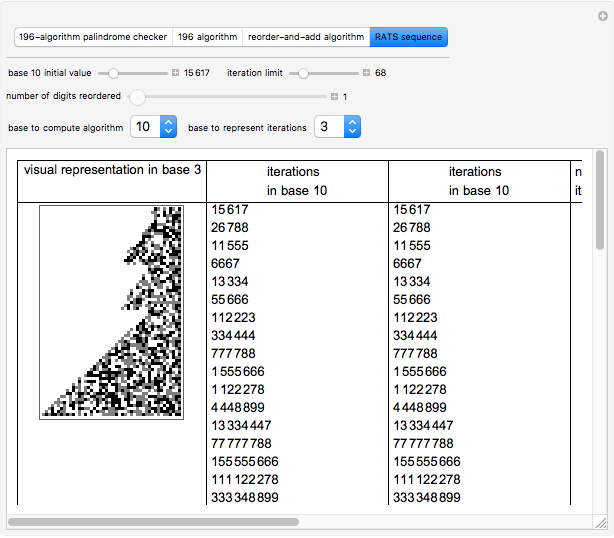 You can perform these algorithms with any number from 10 to 100,000 in any base from 1 to 10, and you can also represent the numbers in any base from 1 to 10. The tabs at the top show the three different algorithms. The palindrome checker stops when it reaches a palindrome. 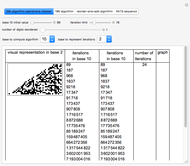 You decide how much to iterate the 196 algorithm, the reorder-and-add algorithm, and the RATS sequence. The "number of digits reordered slider" only works for the reorder algorithm. Neel Gandhi "The 196 Algorithm, Reorder-and-Add Algorithm, and RATS Sequence in Different Bases"